Integruota komunikacijos platforma MyNewsDesk – tai integruotas tinklaraštis, naujienlaiškių siuntimo programa bei skaitytojų statistikos analizės įrankis. Platforma skirta tarptautinėms bendrovėms, valdančioms komunikaciją regioniniu principu. Komunikacinė platforma MyNewsDesk valdoma veiklos šalyje, o korporatyvinėje svetainėje diegiama kodo pagalba. Mynewsdesk was founded in 2003 and offers all types of organizations a modern digital PR solution to engage with opinion leaders, customers, bloggers and other relevant audiences. Businesses create and share information on their terms to get increased exposure. Communicators handle and manage efficiently all their external communications in a newsroom where, for example, press releases, high-resolution images, and videos spread through the right channel, at the right time, to the right audience. With an integrated media monitoring tool, you can keep track of your industry and find out what people are saying about your brand around the world. Get comprehensive, actionable reports directly to your inbox, tweak your monitoring profiles with the help of our in-house experts, and stay updated at all times. Save valuable time by creating, publishing, and distributing your stories in one place. Choose which topics, distribution lists and social media your story should be sent to. Then use your online newsroom as the digital window to your brand, allowing journalists and influencers to find your stories. Integrate your list of key contacts and influencers with a robust publishing and distribution platform, while getting useful insights on how engaged each member of your contact lists are. Take action based on analysis you make as well as manage detailed profiles in order to know exactly who your contacts are. Get the right data and analytics to understand exactly how successful your stories, newsroom, and network relationships are. Take effective actions based on valuable KPIs, such as views over time, click-through rates, or social media spread. Get this data for your entire newsroom or for individual stories. It’s been a while but we have not been slacking off, quite the opposite! We got some new exciting features rolling out and we are here to tell you all about them. Managing influencer contacts and relationships to them has become really handy with Mynewsdesk. We added email history and statistics (open rates, click rates) to every contact. This helps you to segment and target your audience better. We also polished the user interface and experience to make it even more fun to work with. We have rewritten this section of the Mynewsdesk workflow environment from scratch and are now calling it Contacts (former Network). You can now save articles in Monitor with a new feature called Clipboards. While scrolling through your daily hits, save articles you like, find interesting or just don’t have time to read to your Clipboard and get back to them when it’s convenient. Big updates to our video player – we now support full HD (1080p) upload and upgraded to the most modern Onyx-player, which makes videos load even faster. The Onyx-player makes it possible to watch videos on any device and automatically adapt to the viewer’s’ screen size and available bandwidth. All this for the best viewing experience possible! We are happy to announce some updates to our outer, and inner, beauty! Our design team is introducing an almighty Styleguide that will make it easier to get new features and changes out faster. Starting with the top navigation bar which got a fresh, new look and some new tabs. We also made improvements to the overall UX workflow and we’re introducing a brand new color. Some things may have shifted in the move, but don’t worry, everything is still there and hopefully much easier to find! If you have any feedback, questions or ideas for further improvements, please get in touch with our amazing support team! 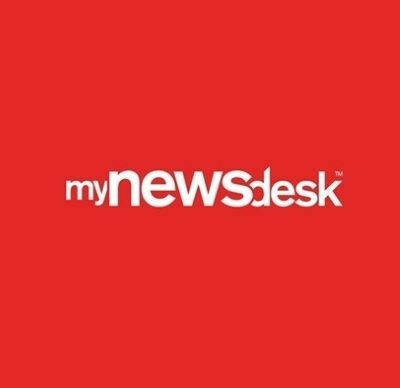 Through email: support@mynewsdesk.com or in the live chat in the lower right corner when you’re logged into Mynewsdesk. What separates the most successful brands’ communications apart from the rest? Technology. Technology is becoming increasingly more important when it comes to effective comms and a brand newsroom eliminates the need for multiple tools, enabling communicators to create content, publish across multiple channels (including social media), monitor and analyse – all from one platform. When you know who your target audience is you’ll be able to craft your content accordingly. And if you’re hitting your desired audience with the content they’re craving, they’ll be more likely to share it across their channels – and that means a greater reach! A great way to figure out who your audience is is to create a “persona”. Start by thinking about their job, their challenges, needs, age, career level – hey, you can even give them a name! This work is fundamental, and can form the basis of your entire comms strategy. The average Facebook video generates 135% greater organic reach compared to photo posts. People are busy, they’re strapped for time, so if you can communicate your message in a snappy, digestible format it’s more likely to be listened to and used. With this in mind – press releases with links to videos and embedded pictures are a must because it increases overall engagement by 18% with photos and 55%! One of the biggest challenges for many organisations is a lack of resources. But there are many ways to get around the problem. One of the biggest trends within marketing this year is influencer marketing. What else can you do? Look for knowledge within your own organisation too. Everyone has a different passion, area of expertise and story to tell – hand over the content reins once in a while. Google, these days, is one smart cookie – so don’t try to outsmart it! Create QUALITY content that your readers want to read, don’t just create is for the sake of it. Don’t ram it with links and keywords – it’ll look spammy. Your content should always address your readers’ needs and enhance their experience of your site. For images, Google needs a little help knowing what it is so add a descriptive alt tag. For videos, write a transcript. These are really effective methods to make your content even easier to find. When done in the right way, an angled news piece can be an effective way to use trending events from social media to react to or create a parody around. Did you know that the site Upworthy creates 25 different headlines for each news piece? A clear and powerful headline can sell the text in an effective way. A recent study showed that in 88% of the cases, a clear headline converted more leads than a creative one. So think of a few and test, test, test! When you know what your goals are it’ll be easy to work towards those and measure your success along the way. Use insights to plan your future content and amend your future content accordingly. A good newsroom demands continuous updates. The work isn’t done when the newsroom has been installed, on the contrary, that’s when it begins! Read more about how to get started with your newsroom and how to reach the right journalists!